Corfu Veterinary Clinic is located in a residential country setting approximately 20 minutes east of Buffalo. Our clients come from near and far to receive quality medicine with the personal touch and that is something we find very rewarding. We go above and beyond to facilitate the needs of our clients and their pets while they’re visiting our animal clinic in Corfu. We have plenty of easy-access parking, a handicap ramp, and are more than willing to help transfer your pets into or out of our building. We provide added convenience by maintaining a large, clean dog-walking area and separate entry and exit doors. Your pet can even visit with Dr. Robinson’s farm animals on-site! 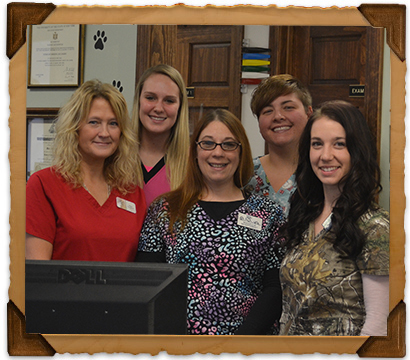 At Corfu Veterinary Clinic, we strive to maintain that home-like feel while providing the best in veterinary care. To keep on top of the latest in veterinary medicine and technology, our doctors and licensed technicians actively continue their educations through the Buffalo Academy of Veterinary Medicine and the Veterinary Technician Continuing Education Program of Western New York. We also participate on the board of a local college and provide job shadowing for local schools during their career days and student preceptorships (mentoring experiences) through area colleges. Our clinic is a proud member of the American Veterinary Medical Association and the New York State Veterinary Medical Society. We are involved with several rescue groups and pet adoption agencies and sponsor many events within our community. Corfu Veterinary Clinic accepts payment in the form of cash, Discover, MasterCard, or Visa. We also accept CareCredit at our location. Down payments are required when a patient is checked in for a non-routine surgery or procedure. Payment in-full is due upon completion of services. If you have any further questions after browsing our website, or if you’d like to schedule an appointment, give us a call at (585) 599–3148.